I’ve written a blog post about this topic in the past, but now I’ve created a video on navel piercings. A navel piercing may seem like a benign adornment, but acupuncture theory strongly suggests that this is not a healthy or safe practice. The problem is that the piercing is creating a semi-permanent obstruction in the flow of a very important energy channel known as the Conception Vessel (or Ren Mai in Chinese). The conception runs from between the legs up the front of the body, ending below the mouth. Here’s a diagram of the Conception Vessel, for the curious. If you do look at the diagram, notice that the navel is an acupuncture point on the Conception Vessel- CV-8. You may also notice CV-8 is a point that one is specifically forbidden to needle. When an obstruction like a navel piercing is placed in a channel it creates a physical blockage to the flow of the channel. 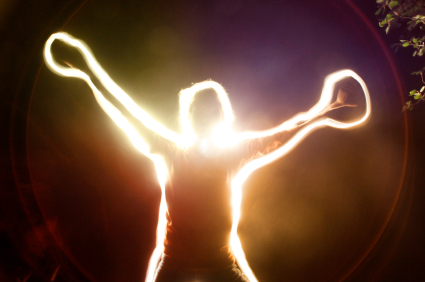 The piercing represents a constant interruption in the energetic field of the body. As you might gather from its name in English, the Conception Vessel is a very important channel in the energetics of the reproductive system. When a woman comes to me for treatment with menstrual complaints or infertility it is very common for her to have either a navel piercing or surgical scar along or across the Conception Vessel. It is also pretty rare that I talk to someone who has had a navel piercing for more than five years who doesn’t have some sort of menstrual or cervical abnormality. 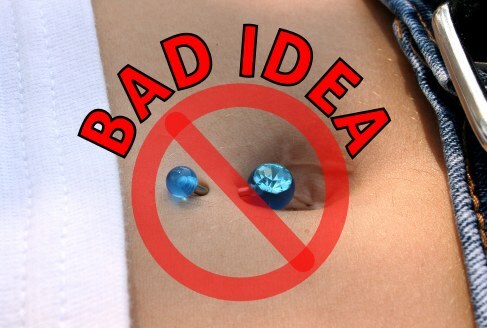 Some people can do okay with navel piercings for a few years, but problems may develop down the line. I’m sure it is possible that most people will never develop symptoms from a navel piercing. Is it worth the risk? You’ll need to decide for yourself. I would love to hear what you think about this. Would you consider removing a navel piercing based on this? Do you have friends or family with navel piercings?